Hardy Garden Chrysanthemums, by Judy Barker, is the first British book (since the 1960s) devoted to a little-known group of hardy herbaceous perennials, hardy to winter air temperatures of -50oC. Having fallen out of favour after the second world war, they are making a welcome and long overdue comeback. The range of petal colour, flower type and size, leaf forms and habits displayed is huge. Flowers may be fragrant, flashy and flamboyant or demure and discreet. All leaves carry a delicious citrus-fragrance. Many cultivars attract beneficial pollinators from butterflies to hoverflies. With careful planning the gardener can have waves of colour from early summer to mid-November, which conveniently cover spent spring-flowering perennials. Providing a steady supply of cut-flower stems for your home, once you grow them you will ask yourself how your garden got by without them. Habits and heights vary from short and compact to tall and slender. 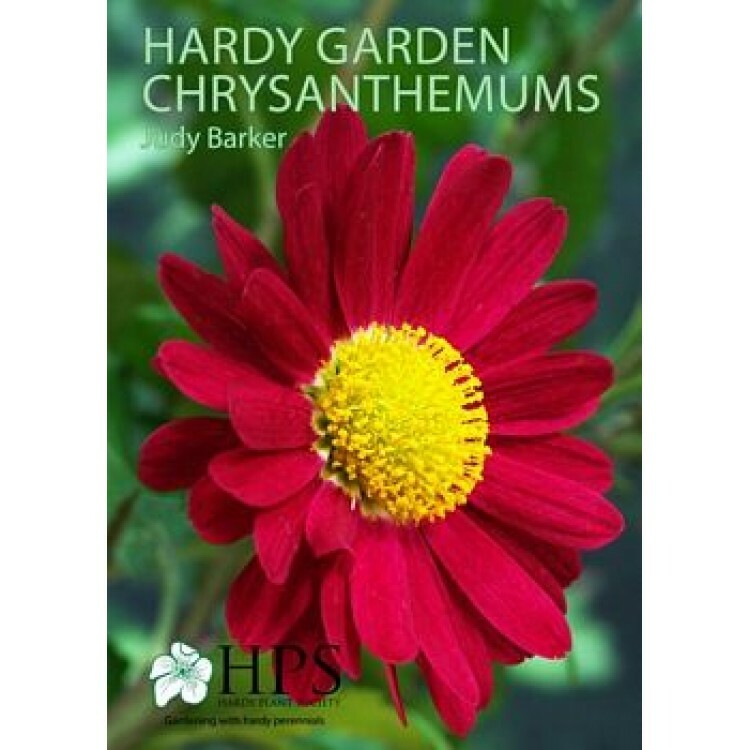 In this helpful booklet Judy covers a brief overview of botany, history, propagation, cultivation and garden-use whilst focusing on 100+ potential cultivars she and Dr Andrew Ward recommend for garden-worthiness and general availability for sale. Some have received the RHS Award of Garden Merit whilst others are registered with the National Chrysanthemum Society (under Section 21).